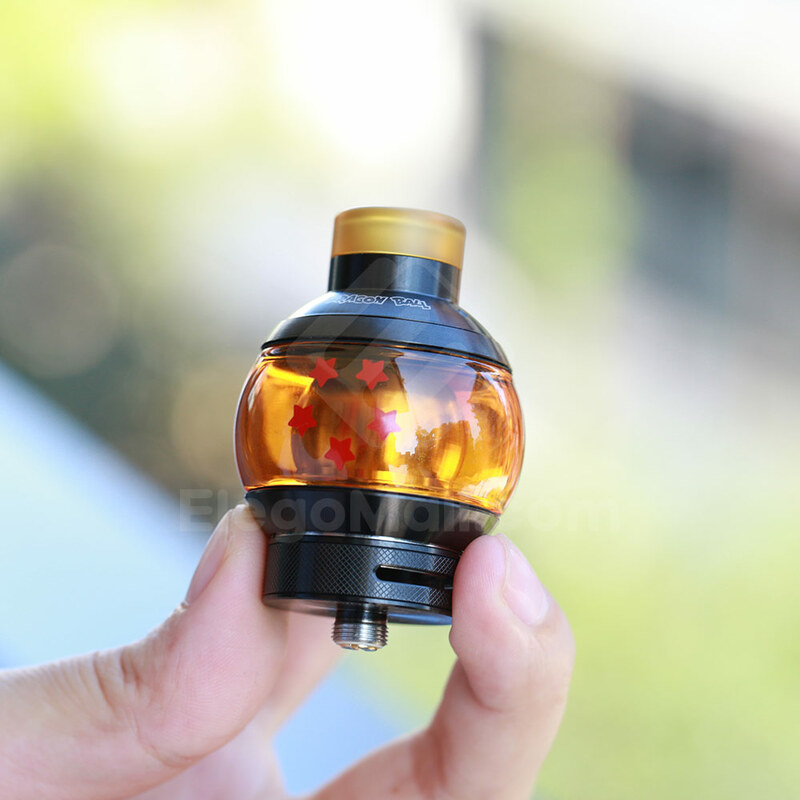 Fumytech Dragon Ball V2 RTA, Dragon Ball Legends in vaping world! can you even imagine cool boy like that? Fumytech Dragon Ball V2 RTA is the exclusive edition of Dragon Ball RDTA, which improve the deck structure and airflow system which bring you fabulous smooth experience and optimal flavor. With the postless deck, this 5.5ml ball-shaped RTA supports single and dual coil building, and at the same time leaves big room for DIY fun. It adopts push-to-open top cap design for easy refilling, and the large airflow system to be adjusted to your preference, and there are many airflow holes around the coils. Serisvape Bomb UFO V1.5 RDTA is the closed design for using this RDTA. If user screw the cap to open, then all the air holes will be opened, the opposite is also opened. The special filling plug design not only includes the functions for oil plug, dust-proof, and top airflow, but also radiating, and Allen screw function.